Being a part of the Miss America Organization has been an amazing journey of self-discovery and development, as well as a journey of friendship and service. Throughout my life I have always had big dreams and I have learned that when you have courage and let go of your fears, anything is possible. Of course I know I would not be standing here today if it wasn’t for the amazing support of my family and dear friends. Captain Kirk and Queen Jacqueline, I feel honored to have such thoughtful and caring friends. You make the journey exciting. Karen, I wouldn’t be standing on this stage today, if you hadn’t encouraged me to run for Miss Orem. You epitomize service, grace, and sophistication. Kim, you are the most dedicated director. I’m grateful I had the opportunity to work with you this year. Naomi and Dawn, I never could’ve imagined more perfect hostesses for me! Thanks to the Miss Orem Committee members for all of your hard work; this night wouldn’t be possible without you. 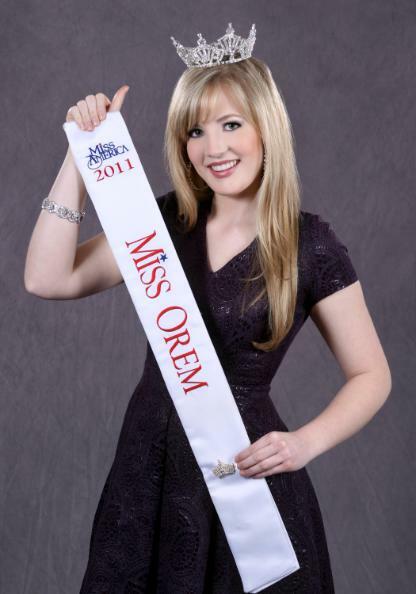 -Heartfelt thanks to the City of Orem for your tremendous support of the Miss Orem pageant and program.And finally, a BIG THANK YOU to the hundred others who have helped me in countless ways. I sincerely appreciate each one of you!